Report cards and test scores assess academic preparation. How do we gauge young peoples’ mental and emotional readiness for greater independence? 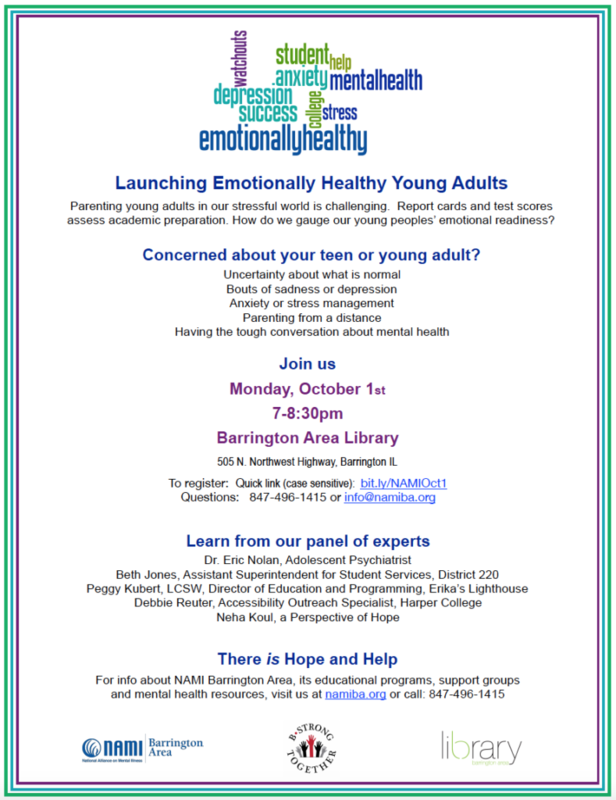 Parents, learn from a panel of local experts who will address warning signs, proactive steps to maintain mental health, successful interventions, long-distance crisis response, managing a diagnosis, achieving autonomy, and more. 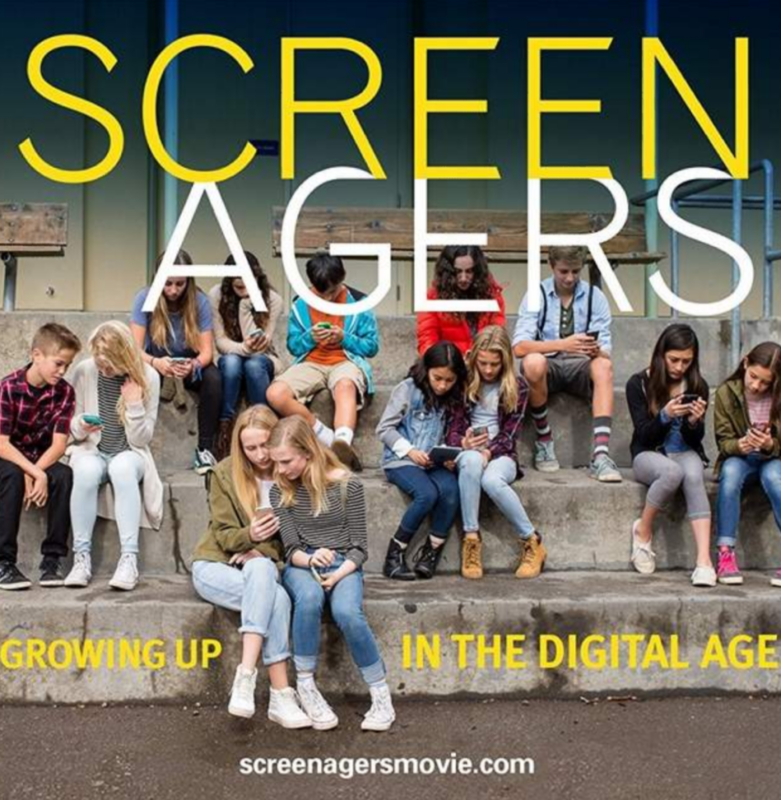 Join us for a FREE special screening of the movie “Screenagers” followed by a panel discussion for parents, students, educators, and community members facilitated by Jackie Rhew from The Center for Emotional Wellness. 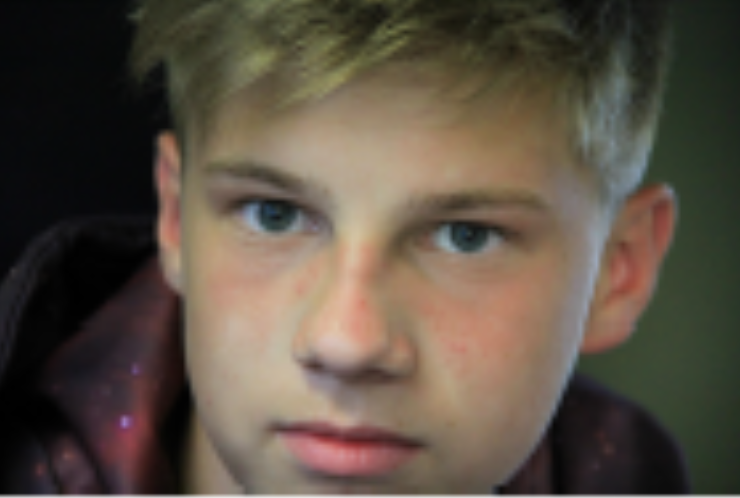 This award-winning film probes into the vulnerable corners of family life and depicts messy struggles over social media, video games and academics. The film offers solutions on how we can help our kids navigate the digital world. In SCREENAGERS, as with her award-winning documentaries on mental health, Delaney takes a deeply personal approach as she probes into the vulnerable corners of family life, including her own, to explore struggles over social media, video games, academics and internet addiction. Through poignant, and unexpectedly funny stories, along with surprising insights from authors, psychologists, and brain scientists, SCREENAGERS reveals how tech time impacts kids’ development and offers solutions on how adults can empower kids to best navigate the digital world and find balance. Join BStrong Together and AMITA Health Behavioral Medicine Institute for this FREE screening of “Screenagers: Growing Up in the Digital Age” and facilitated discussion to follow. To support our learning experience, we will follow the screening with a discussion facilitated by Jackie Rhew from AMITA Health Behavioral Health and The Center for Emotional Wellness. Jackie will be joined by Mandy Burbank from AMITA Health Behavioral Health and Dr. Matt Fuller, Assistant Superintendent of Technology and Innovation for Barrington 220. We encourage parents and students to come together for this important conversation. This FREE event is made possible through the generous support of AMITA Health Behavioral Medicine Institute. 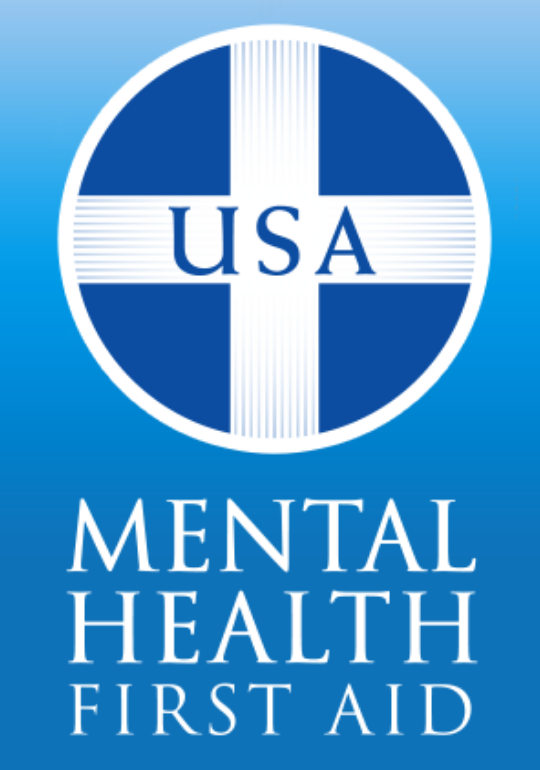 Youth Mental Health First Aid is an 8-hour training for anyone dealing with adolescents (12-18), and especially valuable for parents, family members, caregivers, teachers, coaches, peers, neighbors, health workers, and other caring citizens who might interface with an adolescent experiencing a mental health or addictions crisis. The course introduces common mental health challenges for youth, reviews typical adolescent development, and teaches a 5-step action plan for how to help young people in both crisis and non-crisis situations. This training is open anyone who regularly interacts with adolescents, and to the general community. All attendees receive a certificate of attendance for completing the 8-hour course. 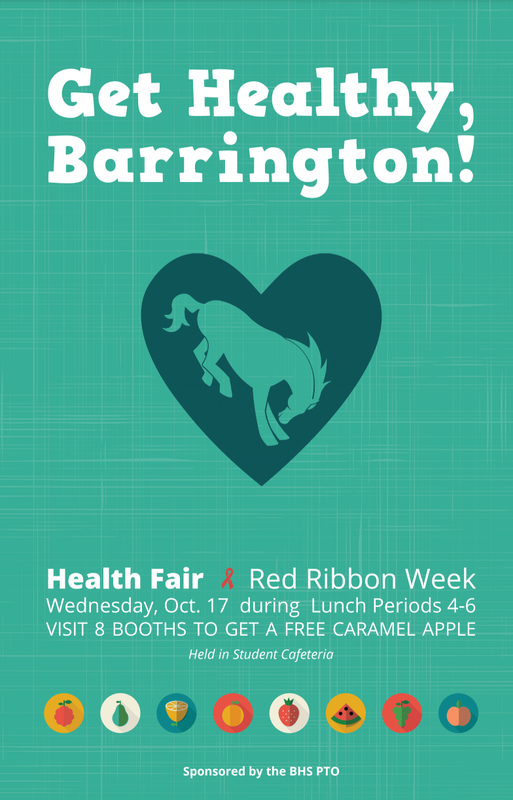 Encourage your Barrington High School student to visit “Get Healthy, Barrington” Student Health Fair tomorrow during 4th, 5th, and 6th period in the BHS Cafeteria. Over 700 BHS students will visit the Health Fair during their lunch hours and will have the opportunity to visit over 30 organizations offering tools and knowledge for healthy lifestyle choices. Students who visit 8 booths will earn a fall taffy apple! BStrong Together is honored to participate in this year’s Student Health Fair and look forward to the opportunity to encourage them to live a healthy, balanced, positive lifestyle. 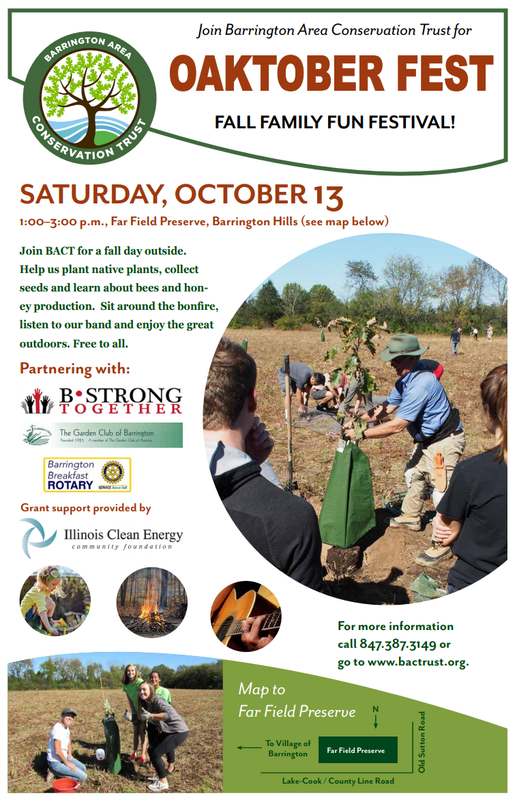 Join BStrong Together and Barrington 220 for the second event in our @Home in the Digital Age series. 6:00 – 7:00 pm App Showcase – Student demonstrators will teach parents, educators, and community members about apps commonly used by our children and youth. 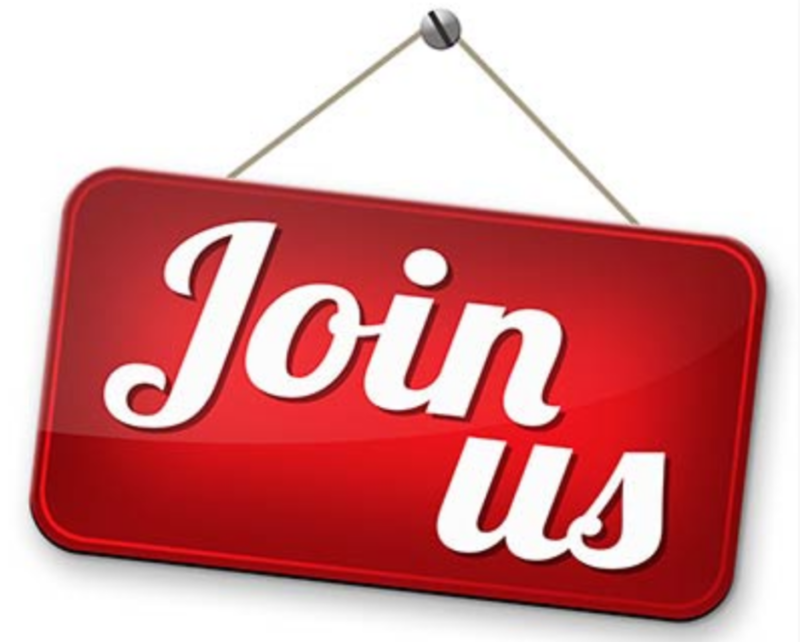 7:00 – 8:30 pm Guest Speaker and Discussion – Dr. Devoah Heitner – Raising Digital Natives founder and author of “Screenwise: Helping Kids Thrive (and Survive) in Their Digital World.” – will speak followed by a community conversation about how to become digital mentors instead of digital monitors. Screenwise offers an encouraging perspective on how to thoughtfully guide kids in the digital age. Many parents and educators worry that kids are addicted, detached, or distracted because of their digital devices. Digital Citizenship expert Devorah Heitner, however, believes that technology offers huge potential to our children–if parents help them. The core message of the book is that kids need mentoring, not (just) monitoring, and that kids deserve more empathy from adults about growing up in the digital age. 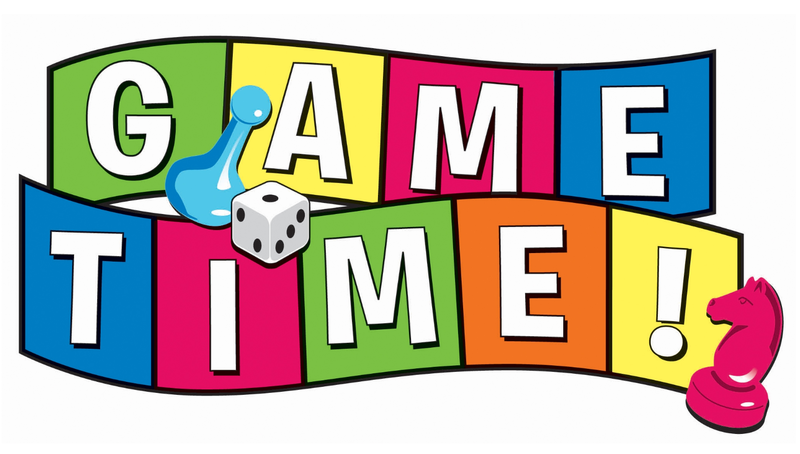 Texting, gaming and social media are social spaces requiring social skills. The book offers advice on helping kids navigate friendship and identity issues that are common among new texters, gamers and social media users. Screenwise presents practical parenting “hacks”: quick ideas that you can implement today that will help you understand and relate to your digital native. The book empowers parents to recognize ways that wisdom that they have gained throughout their lives is a relevant and urgently needed supplement to their kid’s digital savvy. Based on real-life stories from families, the latest research, and Dr. Heitner’s experience working with schools, Screenwise teaches parents what they need to know in order to raise responsible and empathetic kids in the digital age. Learn more about Dr. Heitner and Raising Digital Natives here.